Does testing positive for HIV make someone inadmissible to the United States? On January 4, 2010, the United States officially removed Human Immunodeficiency Virus (HIV) infection from the list of “communicable diseases of public health significance” that make an individual ineligible for admission to the United States. This means that HIV-positive applicants seeking admission can no longer be denied solely on the basis of their HIV-positive diagnosis. To reflect this change, HIV antibody testing is no longer part of the medical examination administered to applicants, and applicants are not otherwise required to disclose an HIV-positive diagnosis during the examination. It is also unnecessary to disclose an HIV-positive diagnosis on any forms submitted during the petition or application processes. However, it is important to note that all applicants for admission to the United States are subject to inadmissibility if a USCIS officer determines that they are “likely to become a public charge,” meaning that the applicant will need government assistance now or in the future. This may affect HIV-positive applicants who are in poor health at the time they seek admission, particularly if they are unable to work or require costly medical treatment. An applicant in poor health must show that he or she has some means of support in the United States. For example, the applicant may provide evidence that a spouse or other family member(s) residing in the United States are employed and could support the applicant. Alternatively, an HIV-positive applicant who is relatively healthy at the time admission is sought is unlikely to be affected by this ground of inadmissibility. What is “unlawful presence” and how does that lead to a 3 or 10 year bar? In 1996, Congress passed a law and President Bill Clinton signed it which imposed harsh penalties on immigrants who had accrued unlawful presence. The law went into effect in April of 1997. Unlawful presence is any stay in the U.S. without explicit authorization from the U.S. Citizenship and Immigration Service (“USCIS”). If the alien accrues 180 days, but less than 365 days, of unlawful presence and leaves the U.S. before removal proceedings begin against them, they would have a 3-year bar, prohibiting them from returning for three years. A formal grant of voluntary departure in order to constitute leaving before formal deportation begins. An alien who leaves the U.S. after receiving a notice to appear (the mechanism by which deportation starts), is not subject to the 3-year bar according to the statutory language. However, the alien must leave before he or she has accrued more than one year of unlawful presence, thereby triggering the 10-year bar. The 10-year bar applies to any alien who accrues more than one year of unlawful presence and leaves the U.S. Such an alien would be barred from returning to the U.S. for ten years from the date of departure. Unlawful presence must accrue during a single stay. The length of the alien’s unlawful presence is not calculated by including multiple unlawful stays in the U.S. It is important to remember that the bar is triggered by departing the U.S. This is true even if the alien has been authorized to travel through advance parole or a refugee travel document. It is also important to keep in mind that some bars may be overcome with a waiver. Waivers and bars are a complicated area of federal immigration law. If you find yourself in a situation where you or a loved one have accrued unlawful presence, you probably want to speak to an experienced immigration attorney to discuss your case. You may be wondering what – exactly – are biometrics? Biometrics is just a fancy word for an appointment at USCIS for you to be fingerprinted and photographed. In some ways, the photographing is silly because you have to submit multiple copies of passport-style photographs when you file your spouse visa application. Even so, USCIS will not begin processing your application until you get digitally photographed at one of their service centers. The fingerprints are another important part of the process. 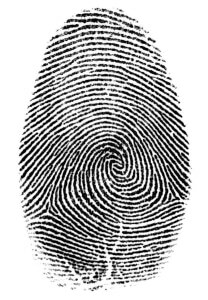 In order to conduct a background check, USCIS hires civilian contractors to conduct a fingerprint examination. After your fingerprints are obtained, they are sent to the FBI for a complete criminal background check. This check can take several months so it is usually a good idea to get your fingerprints taken as soon as it is requested. How long do I have to file my asylum application with USCIS? Most people who come to our office to talk about asylum are unaware of the strict filing deadlines that govern asylum cases. Since 1998, the rule at USCIS has been that an applicant for asylum must file within one year of his or her arrival into the U.S. The one-year period is calculated from the date of the last arrival. The day of arrival does not count – the first day is the day after the last arrival. The filing date is the date that USCIS receives the I-589 asylum application. It is your burden to show that you met the one-year deadline. You have to establish timely filing by “clear and convincing” evidence. You do this through testimony and through documentary proof of your last arrival. If the asylum office has concerns about whether or not you filed within one year, you will still have your asylum interview. However, your affirmative application for asylum (which is really your best chance for asylum), will be denied. Your case will be sent to the immigration court, where you will face deportation, but may raise asylum as a defense to being sent overseas. changes in the applicant’s personal circumstances, such as recent political activisim, religious conversion, etc. the ending of the applicant’s relationship to the principal applicant in a prior asylum application. must have filed within a “reasonable” period given the circumstances that related to the failure to timely file. Extraordinary circumstances usually involve serious injury, death of a loved one or other similar situations. We hope this helps you understand the one-year deadline and the narrow exceptions that apply. If you have any questions, please give us a call at (314) 961-8200. Committed to your success in the asylum process. What does USCIS mean when they talk about “persecution” of people applying for asylum? People often call our office to talk about asylum. But they are not sure what the government considers to be “persecution” when figuring out whether or not someone would be persecuted if they returned home. In asylum cases, persecution means harm or suffering inflicted upon an individual in order to punish the individual for possessing a belief or characteristic that the person causing the harm or suffering does not like. The intent of the person inflicting the harm is not relevant. The true question for the immigration officer is whether or not the harm rises to a serious enough level to equal persecution. Persecution can mean more than physical harm or the threat of physical harm if it rises to a serious enough level. Non-physical harm includes deliberately denying someone’s liberty, food, housing, employment or other essentials of life. There is no requirement that an individual suffer “serious injuries” for them to have suffered persecution. At the same time, the existence or absence of physical injuries is a factor to be considered. This discussion demonstrates just how important it is to frame your asylum application in the best way possible. If you have any questions or need assistance with your own asylum application, please feel free to give us a call at (314) 961-8200.